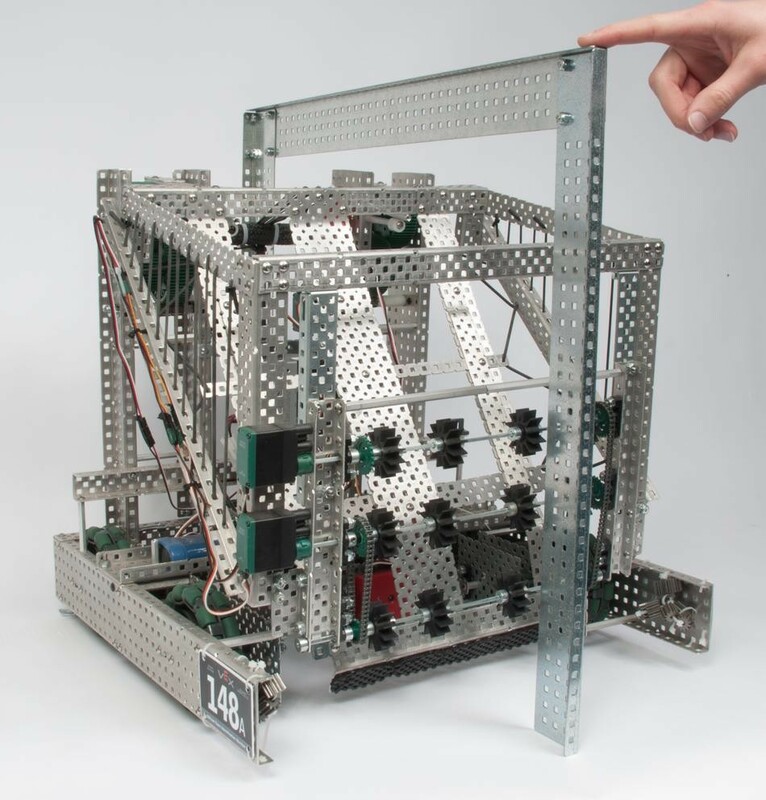 The On Field Robot Sizing Tool is designed to quickly inspect whether or not a VEX Robotics Competition Robot fits into the 18" maximum sizing dimension. Availability: 19 In Stock. Backorder available. 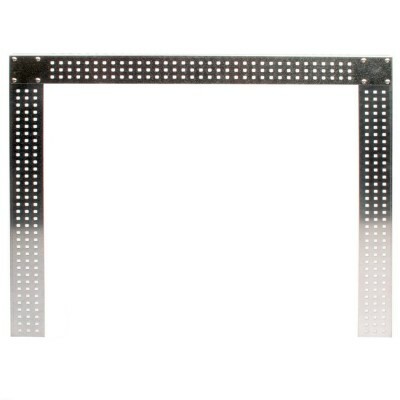 This sizing bracket does not require the robot to be sitting on a baseplate, and can be used to measure a robot on any surface. 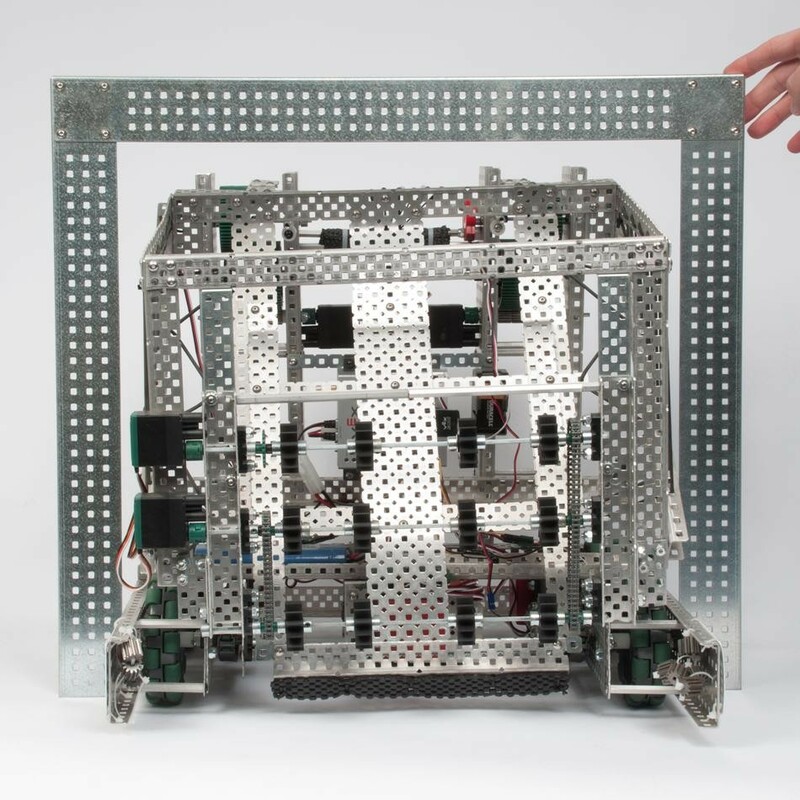 (1)On Field Robot Sizing Tool.